Try to call to mind a building which draws its inspiration from the inner workings of the human eye, and we are willing to guess that your immediate sketch is nowhere near as cool as this. 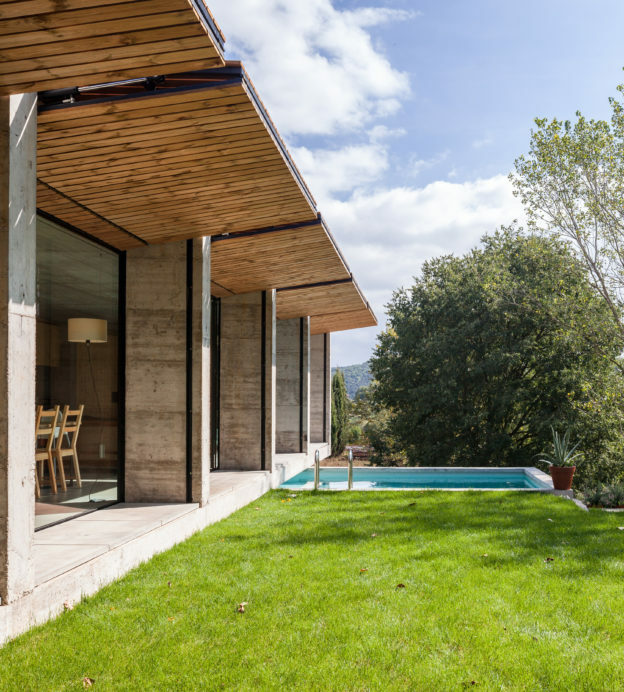 Local company Arnau Estudi D’Arquitectura, have taken the idea of designing a property which positions itself as an eye — and created a property which sits perched like an owl on the hillside, sweeping its gaze across the stunning landscapes of Santa Pau in Spain. The house reflects the surrounding area, including a specially built meadow that surrounds the house. 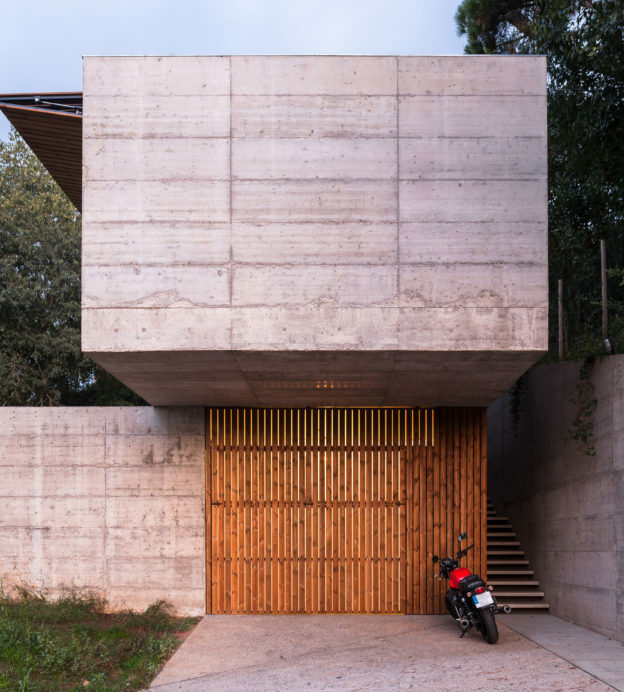 Functional spaces, including the garage and walkway, combine to form a flat surface which acts as the building’s foundation. 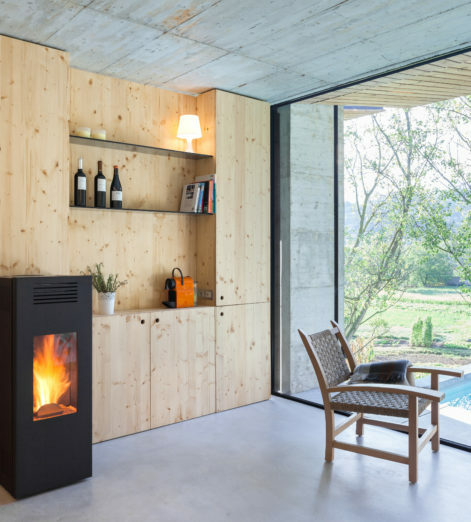 This block is made of up of one single open-plan space encompassing a living, dining and resting room. 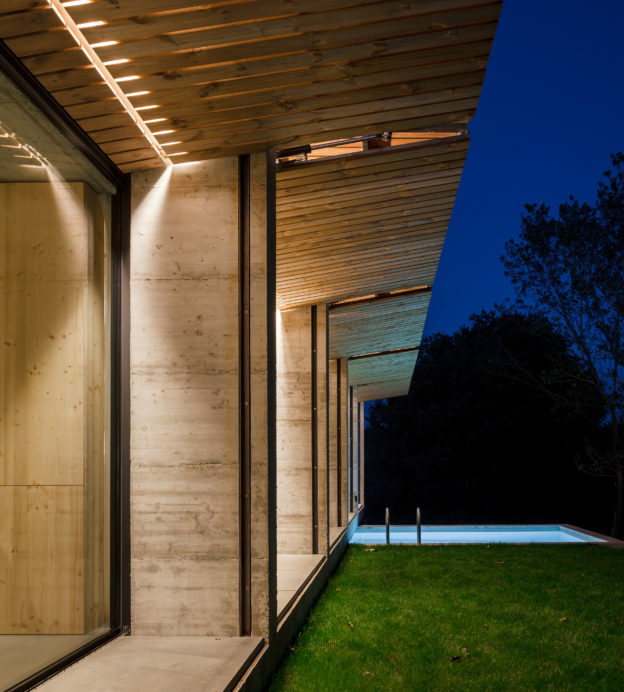 The Retina House also features a small swimming pool and large wooden blinds that open to give a sweeping view across the Santa Pau landscape. When the shutters are open, the building is reduced to glass walls, becoming an open ‘eye’. 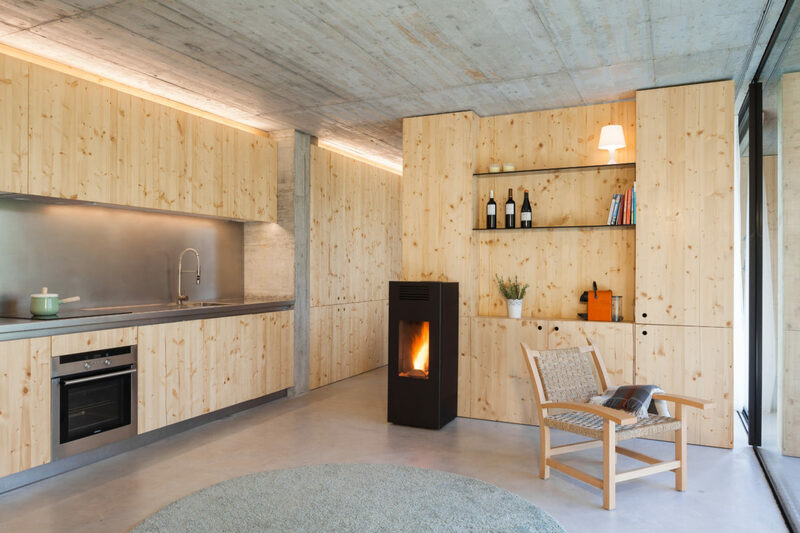 When they are closed, the volume reveals the influence of the rural farm shed, such as the one designed by the architect for renovation of the Granjardì farm, establishing a relationship with the past. 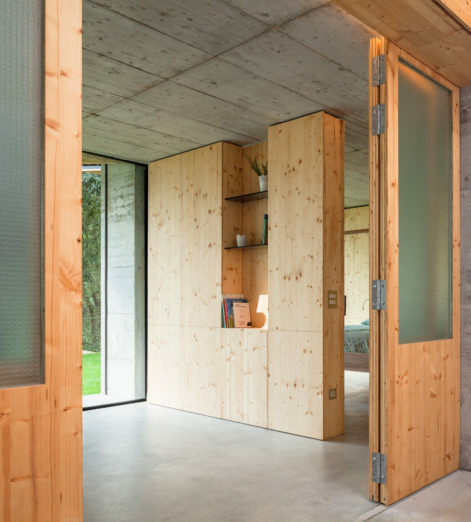 This house has been designed to exist in relationship with the environment around it, and to change with the seasons. 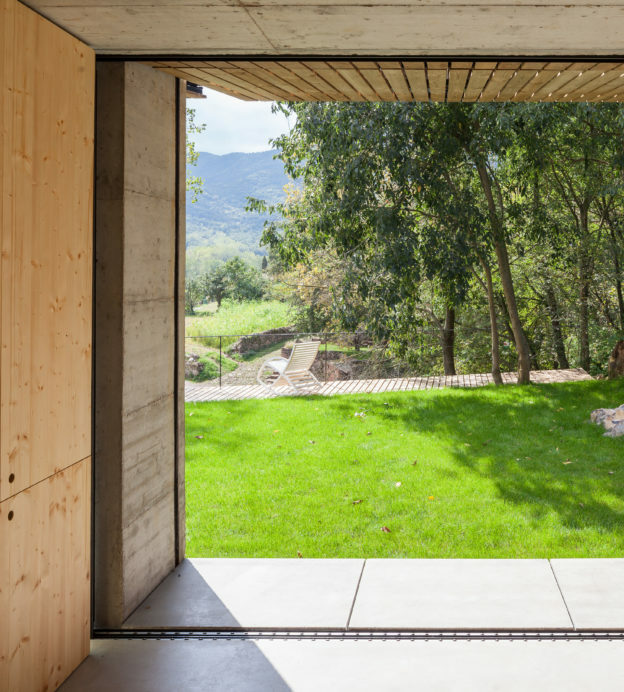 The design is simple yet beautiful, located in the Catalan countryside, as a rural refuge for its owners. 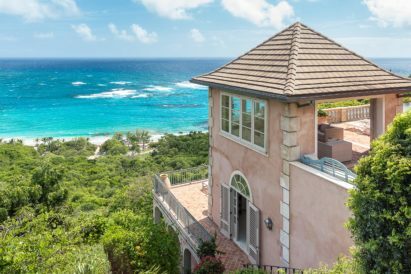 Inside the house, every single action is accompanied by contemplation of the place created — and importantly, everything has been designed with respect for the environment it inhabits. The big sliding glass doors ensure constant interaction with the greenery and encouragement to look farther away in everyday life. 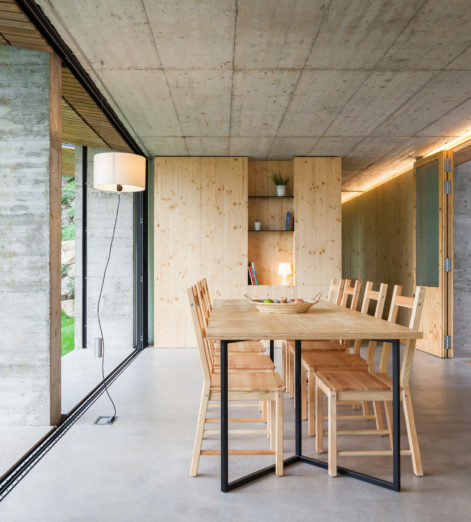 Bounded by a wooden walkway, the Retina House sits amongst a landscape of cultivated fields, where farmers can still be seen at work in their vegetable patches and orchards. Heaven.